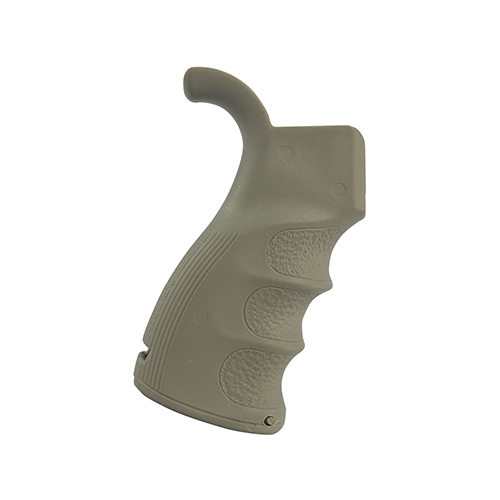 - Finger swelts and a backstrap shape designed to enhance grip, even when wet. - Extended beavertail for better control by allowing higher firmer hold. - Storage area with hinged door.